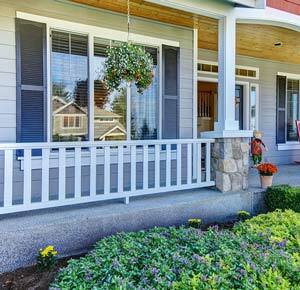 Are you considering replacement windows for your home in the near future? If so, you’ve come to the right place. At Abode Building Center, our premier home remodelers have been helping West Michigan clients just like you for over 25 years!With all the different options on the market, it can be hard to determine which quality windows will work best for your home. This is why we have created this guide to help take some of the confusion out of the window-buying process. Energy efficient windows will not only reduce how much energy your home uses for heating and cooling, but will also help reduce how much you pay on your next energy bill. Each window has its own energy efficiency ratings based on its size and the materials used, which is expressed through several factors. Whether you are looking to replace a specific window in your home or you are interested in whole-home window replacement, you should take into account your home’s structure and landscaping. Different windows in your home may have different needs depending on the nearby trees in your yard, awnings, and other features. For example, if you havetrees outside of your living room window that block the sun, you may not need a window that blocks out the heat as much as your unobstructed windows.The same principle holds true if you have an overhang or awning that shields your window from much of the sun’s rays. The placement of the window in your home can make a difference as well. For example, an eastern-facing window is going to receive more sunlight during the morning hours. In these types of situations, it may be worth investing in a more energy efficient model that prevents high amounts of heat from entering your home. The effect of energy efficient windowscan especially be appreciated during the summer months. While it may not seem like frames make a huge difference, the type of material you choose can determine how much energy you save. For example, while wood frames are generally more expensive, they are also more durable and energy efficient than less expensive options like aluminum frames. If you are interested in our replacement window services service, please feel free to contact our Grand Rapids office at (269) 329-1800 for a free estimate. At Abode Building Center, our home builders are always happy to help homeowners realize the potential in their homes through new quality windows.